Gary is responsible for this service and treats each job with the upmost care. 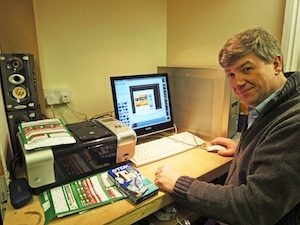 To add a more personal touch to the finished DVD, a still is taken from the file and printed on the DVD. We accept Mini-dv, standard 8mm and Hi-8, VHSC and VHS tapes. Due to the capture rate we use, we can record up to Two hours onto a DVD. If the tapes are numbered or dated, this will help in keeping everything in order. Prices start at £30.00 for the first hour, then £10 per tape after that.